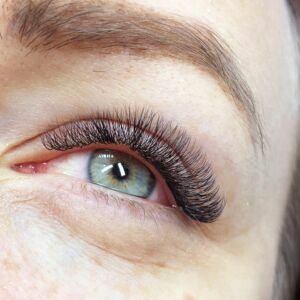 We review the latest trend in the world of lash extensions – Russian Volume – at FATLASH, London. Russian Volume lashes are in-demand and it’s not hard to see why. Aside from dramatically shortening your morning make-up routine, they create natural-looking volume and unlike other kinds of eyelash extensions, won’t damage your lashes. That’s because they weigh much less than traditional types and are miles softer, so they fall out during your natural lash cycle instead of weighing your lashes down and causing them to fall out prematurely. They last longer than traditional extensions too. Their application uses an advanced technique which demands hours of intensive training. So you’ll want to be picky when choosing a salon or technician offering Russian lashes. Applied incorrectly, they could end up looking fake – even worse, could do some damage. While researching I came across the amazing Claire – owner of FATLASH in London Bridge. 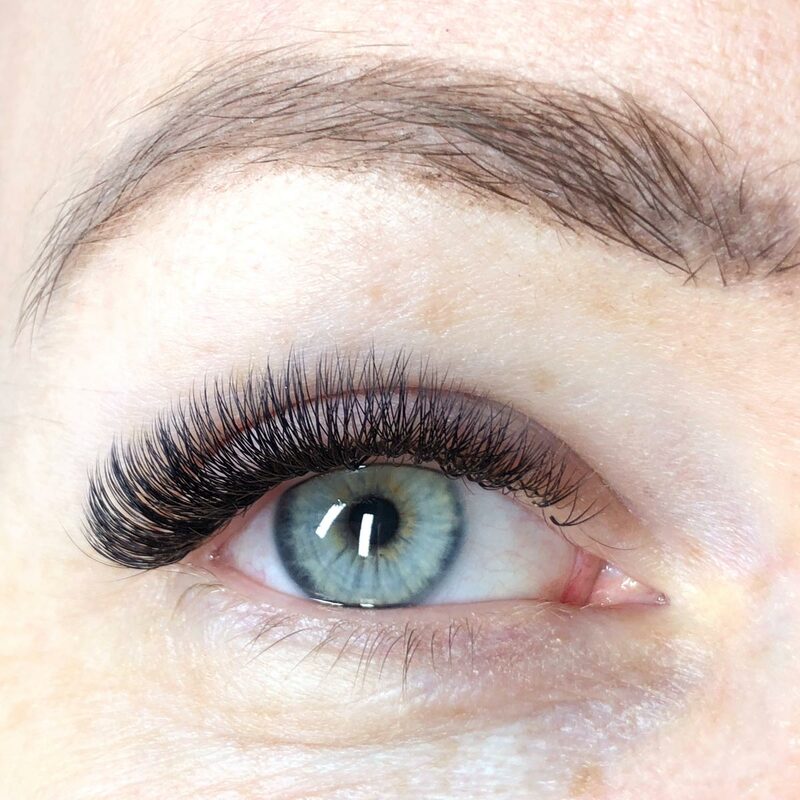 Claire is a lash guru who creates gorgeous, bespoke looks for women of all ages. 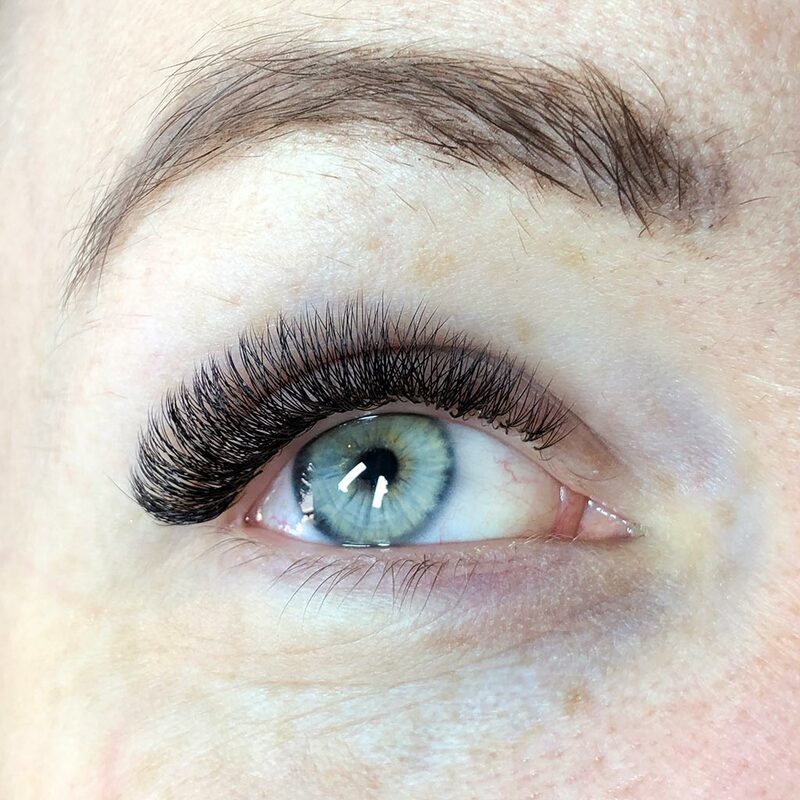 Claire’s lashes are massively sought-after – one glimpse at her work and it’s not hard to see why. FATLASH has several high-profile fans and an ever-growing list of regulars. Besides her award-winning handiwork, she’s one of the loveliest Londoners I’ve met and is undoubtedly passionate about her work, squeezing in regulars even if it means she misses out on lunch. So, if the Russian lash revolution has caught your eye, here’s everything you need to know and my personal experience from London’s leading lash lady, Claire aka FATLASH. The world of eyelash extensions is filled with myths and confusion. Not all extensions are created equal and if it’s quality you’re after, Russian Volume lashes are for you. 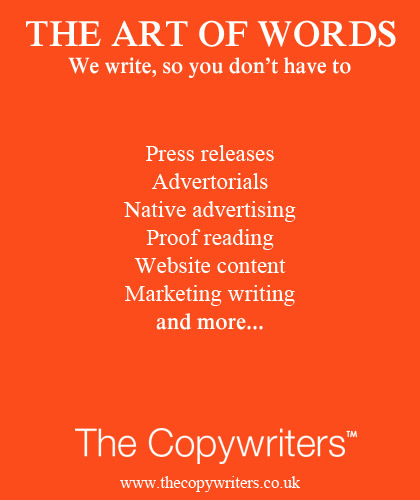 They’re the finest quality and the least-damaging, which makes them the most expensive too. A small price, I think, to keep your lashes intact. They’ll make lashes appear super volumous, while still looking natural. Russian lashes are beautifully soft and are lighter and finer than classic extensions. They’re 100% synthetic and are named after their Russian creator. 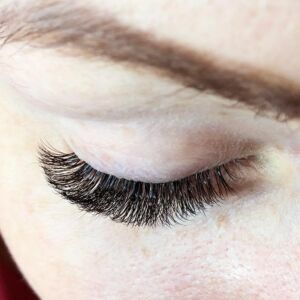 Traditionally extensions are applied as one extension per lash. With the Russian Volume technique, more lashes are applied (due to how fine they are) which are ‘fanned out’ to create the volume without the extra weight. They also tend to last longer than classic lashes due to their lightness – they shouldn’t cause your natural lashes to fall out. It’s a specialist technique which takes a lot of practice to master. Any good salon should provide an in-depth consultation before application starts. 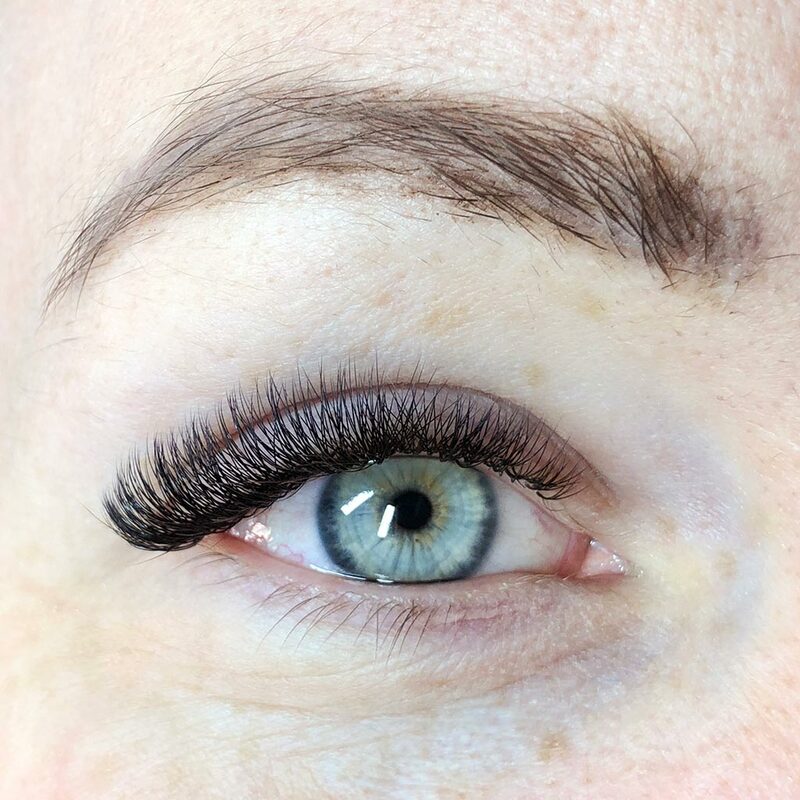 Claire and I chatted for 30 minutes to design my dreamy bespoke lashes. She won’t simply apply lashes based on the thickness you want. (Although this does come into it, with a choice of 2D up to 9D, with the ‘D’ standing for dimension.) She’ll examine your eye shape, lash condition, natural length and curl. It’s all very technical but super important, to get the best results for you and your eyelashes. She’ll handpick the individual Russian Volume lashes from her enormous selection of lengths, curl types and densities, mixing things up based on which part of the eye she’s working on. According to Claire, my eyes are deep-set so she planned to use a longer lash to ensure they wouldn’t get lost and bring my eyes out. She also informed me that I’m one of the lucky ones with a natural curl in my lashes, something she could enhance with extensions. Applied correctly, lashes can also be used to fix imperfections, such as downwards-facing lashes. How are Russian Volume lashes applied? Next, it’s time to hit the treatment bed for a nice, long snooze. The application takes two hours but as Claire mentioned, if a technician claims to apply Russian Volume lashes in under two hours, they should be avoided. It’s an advanced technique that requires a steady hand and plenty of patience. Two hours per application is the minimum. Each lash is applied with precision using a pinprick of glue. Lash by lash they’re then hand-fanned, allowing them to wrap around your natural eyelashes. It’s best not to chat during application to avoid moving unnecessarily. Besides, it was weirdly relaxing having Claire work on my lashes. My transformation has been a massive confidence-booster. I’m obsessed with my new look and it’s fair to say; I’m a FATLASH addict. They’re wonderfully light. The only way I know they’re there is down to the continuous flow of compliments. The best part is that the lashes don’t look fake, they simply look more volumous and have transformed my eyes. How long do Russian Volume lashes last? It’s all down to the after-care. You’ll need to avoid getting the lashes wet for 24 hours after application. From then on, wash them gently with baby shampoo (don’t scrub) and brush them daily. Avoid using oily products as it can cause the lashes to fall out, as well as mascara and eyeliner too. Not that you’ll need it. Stick to these easy rules and the lashes should last at least two weeks. After that, you’ll need infills with Claire or you can simply grow them out completely. Your top-up appointment is also a chance to change the style and volume. The photo below shows my lashes after three weeks (still in great condition) and the growing out process. And finally, here’s how they looked after infills. Fabulous. FATLASH – Where & How? FATLASH is located at Studio 4 The Colour House, 7 Bell Yard Mews, London SE1 3UA. 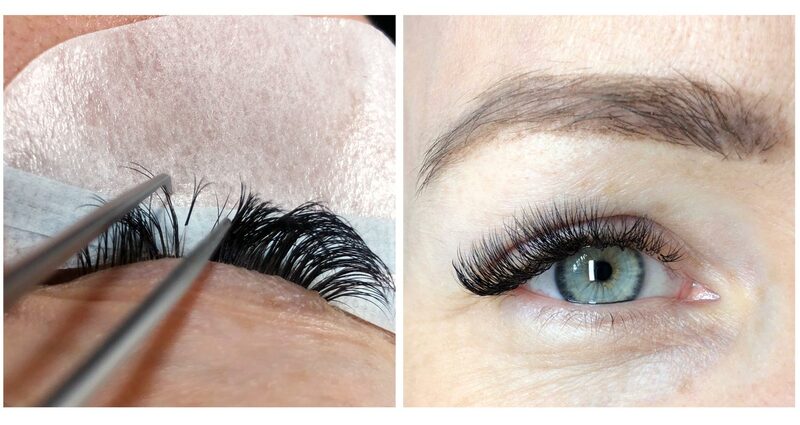 For bookings or to find out more, visit www.fatlash.co.uk, email Claire@fatlash.co.uk or call +44(0)7980548594.